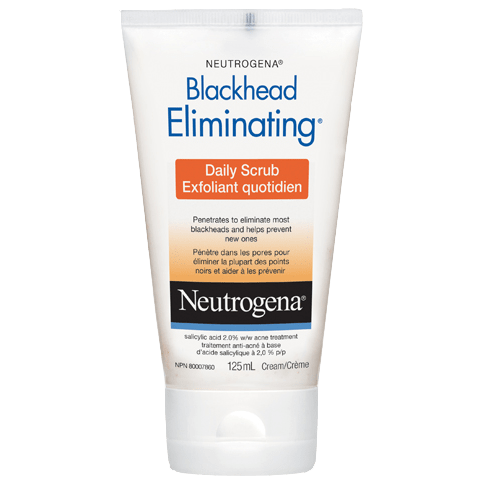 NEUTROGENA BLACKHEAD ELIMINATING® Daily Scrub doesn't just fight blackheads, it helps to eliminate and to prevent them for clearer, smoother skin. First, you'll feel its gentle, skin-smoothing exfoliators and conditioners exfoliate without over-drying to sweep away dead skin cells. Then, you'll feel it tingle as this salicylic acid acne treatment cleans deep to help prevent new blackheads by removing stubborn dirt, oil and make-up trapped inside pores. Wet face. Squeeze scrub into hands and work into lather. Massage gently on face, avoiding contact with eye area. Rinse thoroughly. Wash affected area 2 to 3 times a day. New Users: Apply to small area once daily for 3 days to test for sensitivity. If no discomfort occurs, apply to entire affected area and rinse off. Start with 1 application, gradually increasing to 2-3 times daily, if needed. If dryness/peeling occurs, reduce to once a day or every other day. Non-medicinal Ingredients: Agar, Cellulose, Cetyl Alcohol, Disodium EDTA, Glycerin, Iron Oxides, Menthyl Lactate, Mica, Parfum, Polysorbate 60, Potassium Cetyl Phosphate, PPG-15 Stearyl Ether, Red 30, Sodium Hydroxide, Steareth-21, Titanium Dioxide, Water (eau), Xanthan Gum. This product makes me badly break out after every use. Thank you for your review, Jade. We're sorry this happened. Since this isn't typical of our product we'd like to learn more about your experience. Please give us a call at 1-888-663-8876 between 8AM and 8PM ET Monday-Friday and a specialist will gladly help you. Thanks again for your review and we wish you a wonderful day! 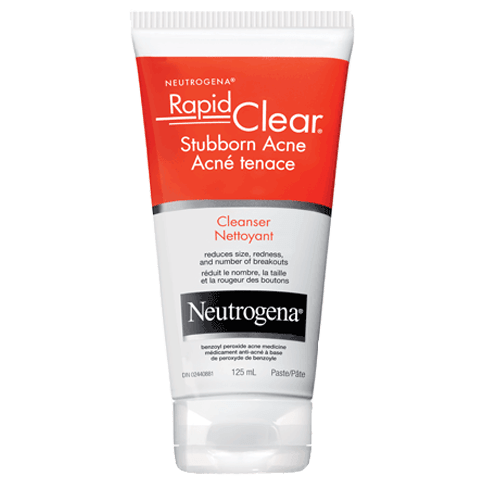 after only a week of using this product I developed horrible acne, although I could visibly see black heads clearing up it was definitely not worth the trade for having horrible acne all over my face. 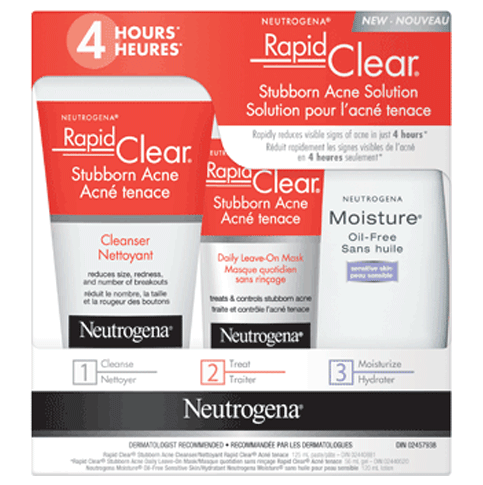 after a few days of not using the product the acne it gave me was cleared up and I tossed this junk in the trash. This product works. It is gentle enough and did not dry out my skin. After only 1 month of use, my facial practitioner commented that most of my blackheads have been eliminated except for those on the nose area. I have most of my blackheads there and it seems to be the spot I always miss when applying the scrub. However this is a good proof that this scrub does make a noticeable difference!